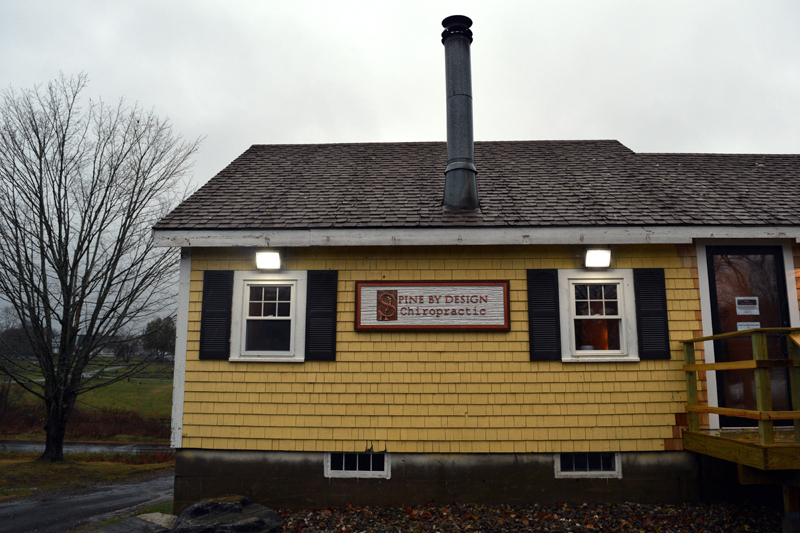 The chiropractic office Spine By Design has moved from Newcastle to Damariscotta, in what the owner says will be the final move for the business. “This, to us, is home,” Dr. Thomas White said of the 105 Church St. building. “We’ll be here for however long I’ll be able to practice.” The new office opened in mid-September. 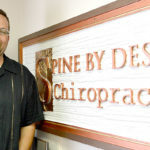 Thomas White has been a chiropractor for almost 20 years. He works with his wife, Annee White, Spine by Design’s office manager. Thomas previously practiced in Livermore. 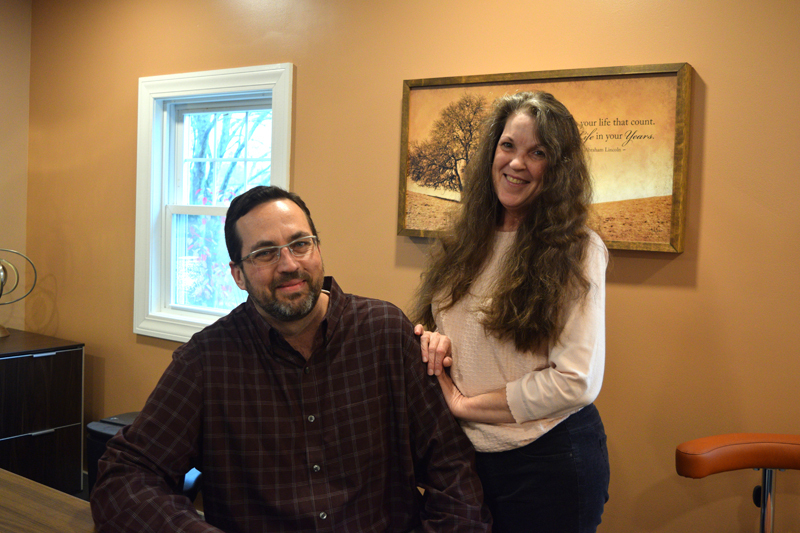 The family moved to the Midcoast and opened an office in Nobleboro in 2013. 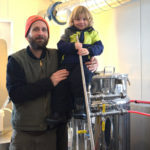 The couple left Maine for Michigan, where they lived for a year and a half for family reasons. In Michigan, Thomas opened a practice where he worked with the local Amish population. He plans to continue to serve this population in Lincoln County. 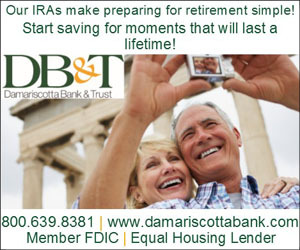 The couple’s final move was from a space at 19 Sheepscot Road in Newcastle to the Damariscotta building, which they own. 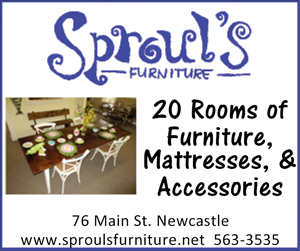 The building was used by Regional Rubbish Removal Inc. years ago. 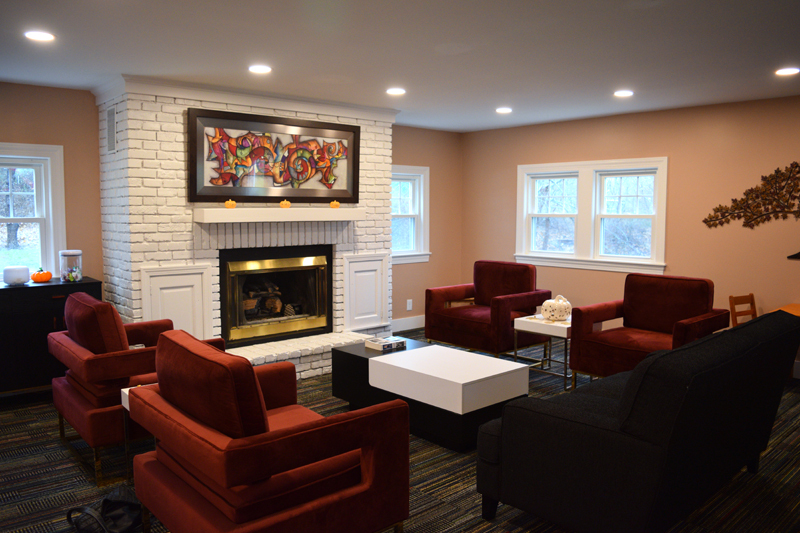 Annee said the interior was gutted and remodeled. “It was the perfect combination of location and layout and availability,” Thomas said of the building. 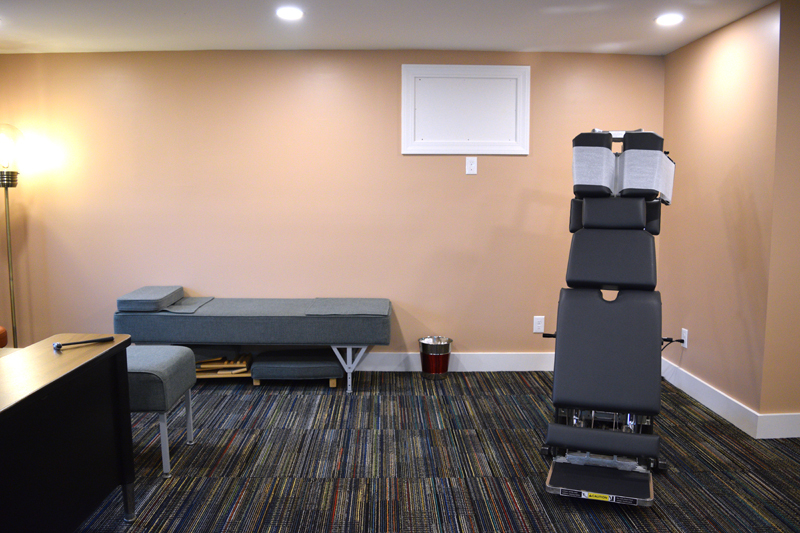 The building has a walk-out basement, which he plans to remodel into massage therapy rooms over the winter. “It’s something we currently refer out for. It works closely with (chiropractic), so we are going to actually be able to offer that right here to our patients,” he said. 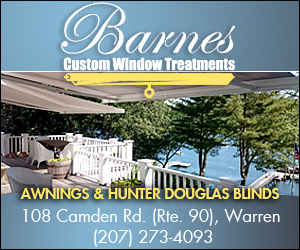 The couple will look to hire a few massage therapists in late winter or early spring, he said. In addition, they may hire administrative employees as the office grows busier. Since 1999, Annee said, Spine By Design has helped people from 2 days old to 100 years old. Thomas’ patients come from Lincoln County and beyond, including from Bath and Rockland. 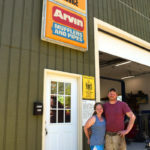 “People in Maine have historically worked very hard physically, with their bodies, and that’s one of the reasons that we are as busy as we are, because we specialize in getting people back to work as quickly as they can be gotten back to work,” Thomas said. Thomas started out as a mechanical engineer, receiving his degree from Virginia Tech. He earned his doctorate degree in chiropractic from the University of Western States in Portland, Ore.
“His passion and love was always in chiropracty,” Annee said. Every doctor uses different chiropractic methods, Thomas said. For this reason, some patients might receive better results from certain chiropractors than others. Spine By Design uses the Gonstead technique, developed by Clarence Gonstead. The method is an engineering approach that looks at the discs, or the structures between the vertebrae. Thomas will first conduct an analysis of a patient’s spine and extremity joints, identify problem areas, and create an individual treatment plan. Though most of Thomas’ work is on the spine and extremities, not all cases are the same. “It’s a perception that (chiropractic) is a back pain specialty, and that’s certainly common, and a lot of our patients come in with those types of problems, but that is not the length and breadth of it,” Thomas said. Every case is different; some people make appointments for painful side effects from a car crash, osteoporosis, jaw pain, or carpal tunnel syndrome. On occasion, Thomas will treat pregnant women expected to have a breech baby. He has even treated animals. 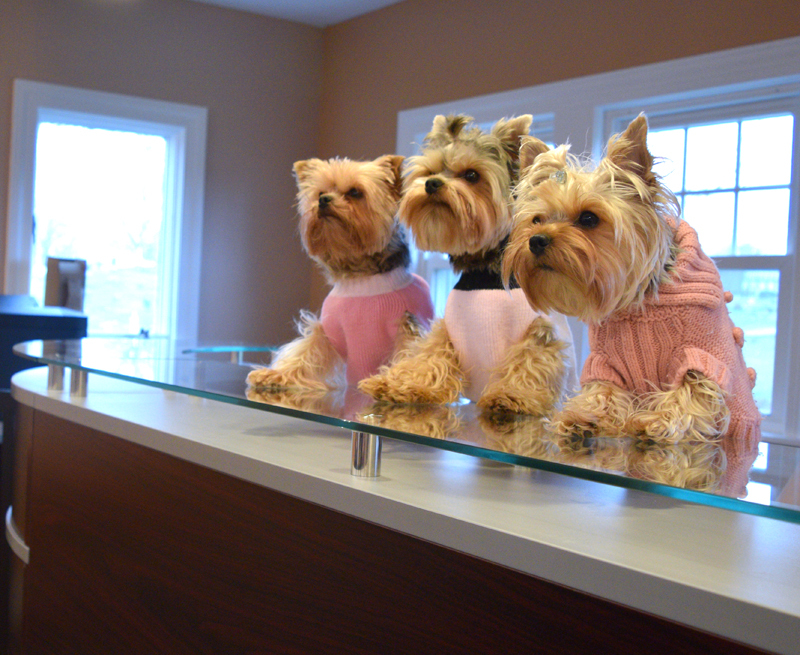 The couple’s three sweater-wearing Yorkshire terriers – Gypsy, Poppy, and Saffron – jump onto the edge of a glass table to greet patients with wagging tails. Spine By Design is open from 8 a.m. to 4 p.m. Monday and Wednesday, noon to 4 p.m. Tuesday, 8 a.m. to noon Friday, and Saturday by appointment. Thomas said he is always willing to help someone in an emergency. Calls to the office go to his phone if no one is at the office. 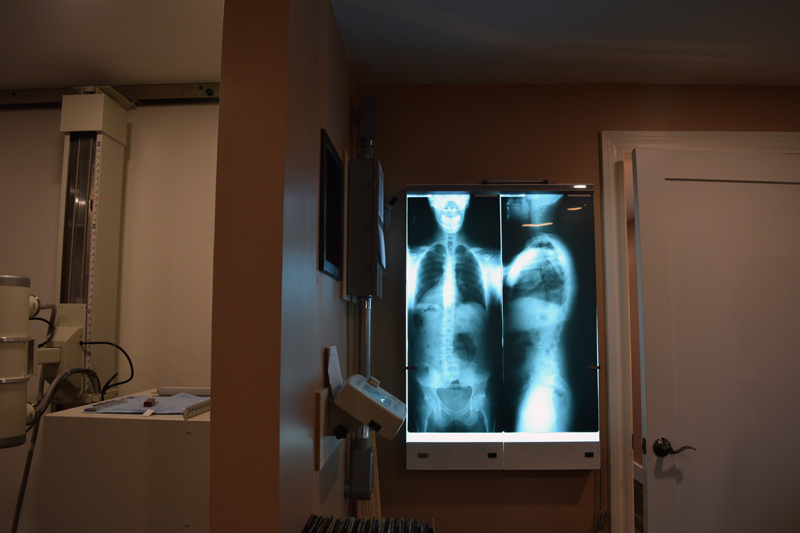 Spine by Design accepts walk-ins. To make an appointment, call 563-6413. Patients do not need a referral. Nearly all insurance plans cover his service; however, patients should check with their insurance provider first. 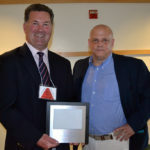 Spine By Design belongs to the Veterans Choice Program network of community providers. The U.S. Department of Veterans Affairs program allows veterans, with prior authorization, to receive VA-paid treatment from providers in the network.